Clashcon has just confirmed the slightly badly kept secret that Town Hall 11 is coming in possibly the next Clash of Clans update. News has also dropped of the new Clash of Clans defence. Kudos to the game designers for some sweet graphics on both the new Town Hall and eagle headed defence. 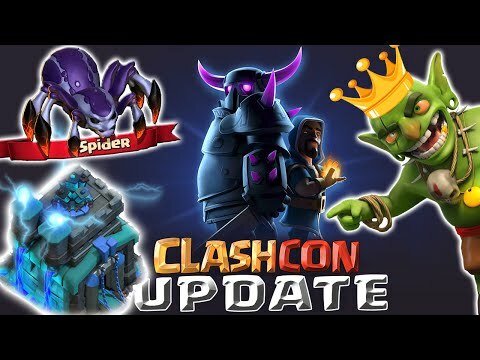 But what is the big game changing announcement that ClashCon is bringing today. Is it the new Town Hall, probably not as that only really affects about ten percent of the Clash gaming community. I'm pumping for daily rewards and quests, all will be revealed soon! Btw don't be tempted to upgrade to the new town hall just yet, I upgraded to level 10 way sooner than I should have and it has really caused much havoc with my playing as battle rewards are linked to your and your opponents respective THall levels. Clash on Finland!